The inspiration to change is something that is often elusive. It takes some decision making first and then some follow up later. 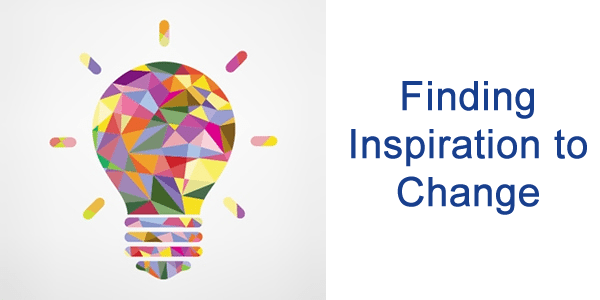 But where do you find the inspiration to change? Magazines. I like to browse through Muscle & Fitness or Flex Magazine. The pictures inspire me. The stories inspire me. I can cut out pictures and keep them with me to continually inspire me to change. Blogs by others going through your change. When I first started my journey I belonged to a group of bloggers who held each other accountable. I have not been able to recreate that experience, but it was the most inspired I've ever felt to change. Books about or by others who’ve made the same change. Reading books about people who did the things I want to do is always inspiring. Online forums related to your change. I love Body Space on http://bodybuilding.com because the people there are inspirational with what they are doing. Social media such as Facebook, Twitter & Google+ … follow others doing the same thing as you, or those who’ve done it. Once you’ve found places to get your inspiration, you’ll want to incorporate it into your change on a regular basis, to keep yourself motivated and fueled. Become an active participant in a forum related to your change. The key is to be regular and active. You learn by teaching. It is a fact. Get involved and you will learn even more in the long run. When you feel yourself slipping, go to a set of bookmarks you’ve created for inspiration. Follow people or blogs who inspire you using your favorite social media platform. Join (or create) a group of people who motivate and encourage each other. Use the power of these groups to harness the inspiration. One way is to inspire others. Getting into great shape is one way you can do that. 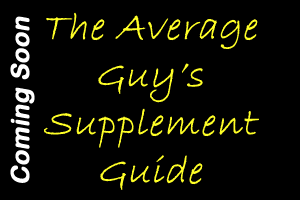 We here at Fitness Exposé have written a guide to help you get into the best shape of your life. 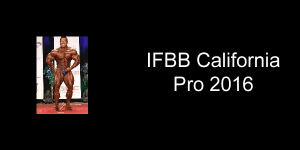 Simply sign up below and you will instantly receive your FREE eBook entitled 5 Steps to Getting Into the Best Shape of Your Life. You will also receive updates as we publish new articles. Maintaining focus is really a mental achievement. It is all about how you are thinking about the task at hand that matters. If you go into the gym and spend your time thinking about everything other than your workout, you are going to have a terrible workout due to the lack of focus. 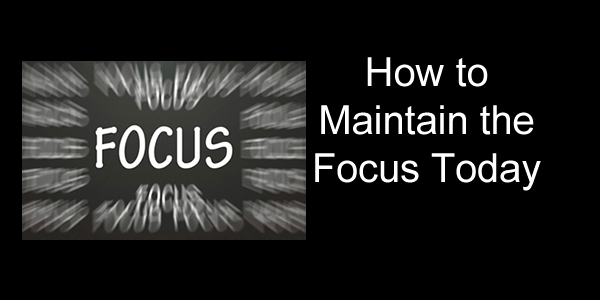 Today I come to you with 6 tips on how to maintain your focus today at the gym. Have a plan. Always enter the gym with a plan in mind and then execute that plan. Get rest. Always get enough rest. Not having enough rest kills your focus. Positive self-talk. Don't talk yourself out of focus. By this I mean, keep things positive. We can always do better, but we don't need to continually remind ourselves of how badly we feel we did. Challenge yourself. Use progressive overload to continually challenge yourself during workouts. This forces you to stay focused as you execute the workout. Listen to music. Music has a strange and amazing effect on me. Depending upon the music I choose I cam either calm or crazy. Whatever effect it has, music always keeps me focused. I can get more done when listening to music. Have fun. We focus better when we enjoy what we are doing. Yes, it is called “working out” but it can be and is a lot of fun. Relish your time at the gym and you will have no issues staying focused. Don't lose your focus. Keep reminding yourself of these 6 things to maintain your focus today. 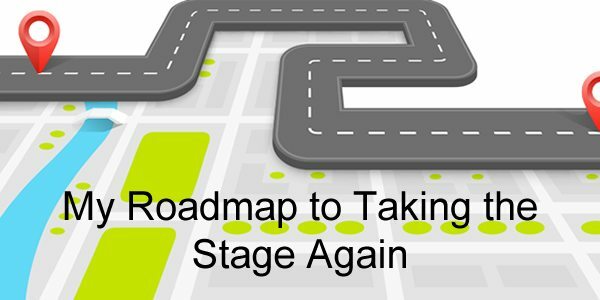 My roadmap to taking the stage again has been drawn and a plan has been set into motion. This plan will have me on stage in a position to actually be competitive. I am going to do whatever it takes to get there. My roadmap is outlined below. I am going to continue to run this for a bit as it is working, but eventually I am going to inject 2 high carb days a week and cycle my carbs – 5 low/2 high. 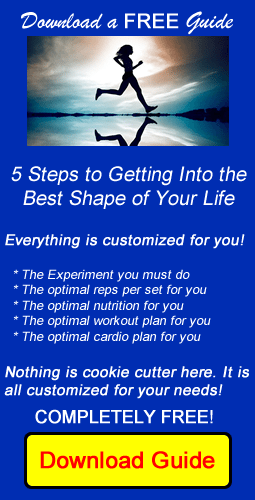 This roadmap will get me into a much leaner state. This one is only clear to an extent. I am going to listen to my body, but right now I am training 6 days a week with weights. Recovery could very well become an issue and I am going to have to respond to that accordingly. I already have a different split worked out just in case. The key to having success with these things is to plan ahead. I am currently looking for a posing coach, but I know that posing is going to be the key to me doing well. I can bring the body but if I don't know how to properly show it off I am doomed. I am currently going to search through YouTube for videos, but I really need an in person coach. I am going to be searching for someone in the near future to help me out in this area. I've been listening to podcasts from various sources and the Mindset of a Champion Teleseminar from Skip LaCour for mental motivation. I get some good tips and ideas that I wouldn't think of. I have a coach I am using for training and nutrition and a friend who is holding me accountable. With those two at my side I know this is going to happen. 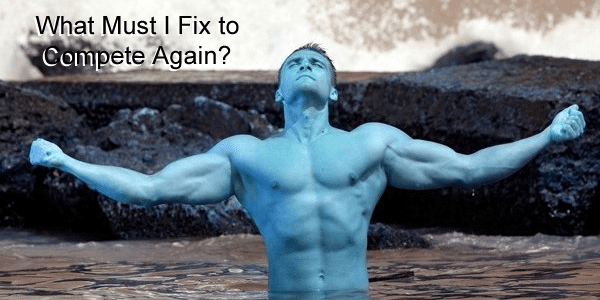 What Must I Fix to Compete Again? May 29, 2017 is the date I will compete again. I say “will” because my mind is made up that nothing is going to stop me. However, I realize I have some really lagging body parts that will need to improve in order to compete and be competitive. Today I will set out my plan for what I must fix to compete again and how I am going to accomplish that plan. As I thought this through I realized that I need an accountability partner. I need someone who understands what I am going through. I need someone who knows me well enough to push me. I need someone who is not afraid to tell me when I am blowing it. Enter my good friend and mentor, Carlos DeJesus. He has agreed to be my accountability partner. I am responsible for sending him pictures weekly to assess my progress. This type of accountability is going to make me think multiple times before going off plan. Carlos is a world champion bodybuilder. He has invented numerous pieces of exercise equipment including the Quad Blaster. He knows exactly what I am going through and how to get to where I want to be. The perfect accountability partner! 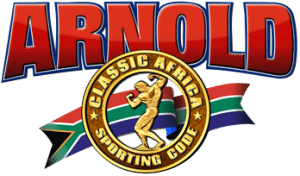 I have been focused on getting my body fat percentage to below 15% so that I can freely bulk. I was given that advice by a good friend, Marc David. Following the advice of people who have been there is something I find quite important. I am making sure I get my cardio in on a regular basis. I have inserted 10 minutes of cardio at the end of every training session and soon I will be doing a second gym session each day to get in the proper amount of cardio. My daughter is on the cross country team at school so I am running with her whenever I get the opportunity. I am eating a specific regimen that really seems to be working for me. I also set up a friendly competition with my son. He needs to gain some weight the healthy way, so we set up a 12 week competition. He has to try to gain weight while I try to lean out. If he gains more weight than I lose, he gets to pick any restaurant and I have to take him there. This is going to motivate both of us to achieve our goals. As I look in the mirror the only body part I really like is my legs. I know I can easily bring up my traps as they respond really well. As far as massive improvements, my chest and arms are very weak. My back and shoulders are in decent shape, with my back having a slight V shape to it already. In thinking through the next year of training I am already certain that I am gong to have some specialization training included each month. These specializations will focus on arms and chest. The plan is in place. The date is selected. The accountability is in place. Now I have to get the job done! Everyone can come up with excuses if they want, but complainers are the masters at finding excuses for everything. It is far too easy to come up with an excuse that will derail you from your exercise and nutrition goals, but why would you want to do that? I wonder sometimes if these heavy complainers understand the ramifications of their own actions. 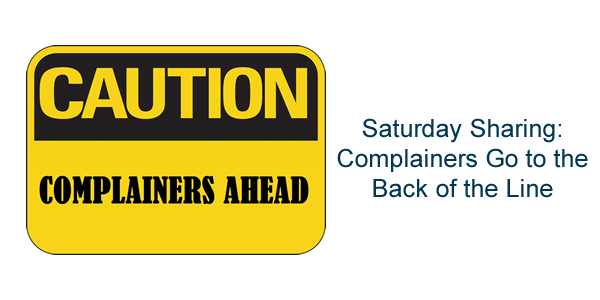 My opinion is that complainers can go to the back of the line. I have no time for that. When you are attempting to help people, the complainers will remove all energy from you and your efforts. You find yourself working to convince them of the erroneous statements they are making. It takes your focus away from more important things. You have no way to convince them because they are going to believe whatever they believe. It is a complete waste of your time and it just takes energy away from your other tasks. You do what you do because it is something that you need or want. If you are like me, you have a passion for health and fitness. Listening to complainers just brings me down. It makes me wonder why I do what I do at all. When I help people and I discover that they are a complainer I instantly move them to the end of the line in the future. I don't like to waste my time on people who are not going to listen to anything I say and complainers have shown me this is them.